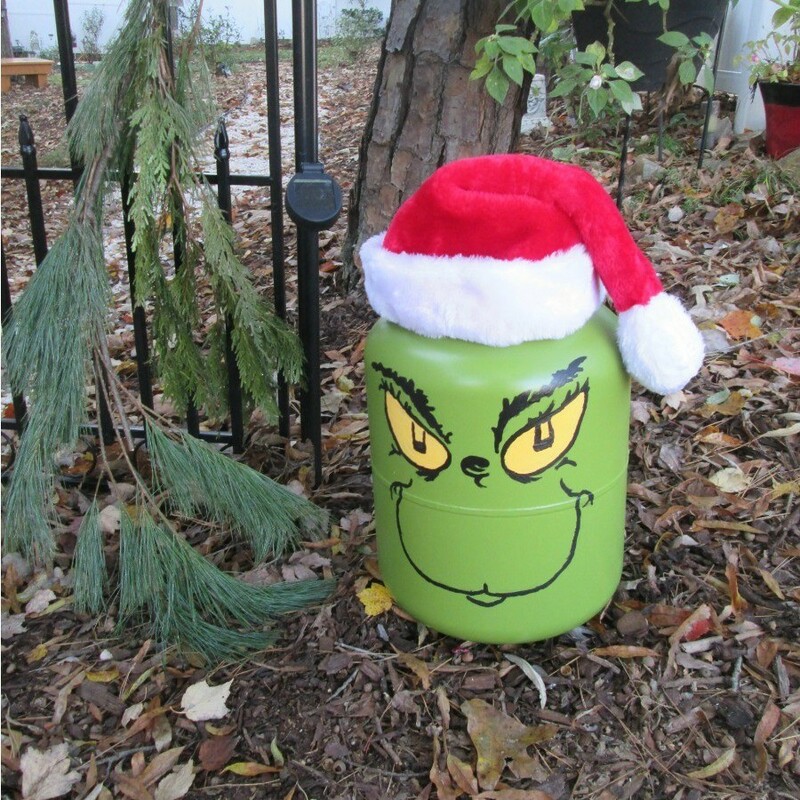 Take that leftover helium tank and create a fun yard decoration featuring the Grinch. 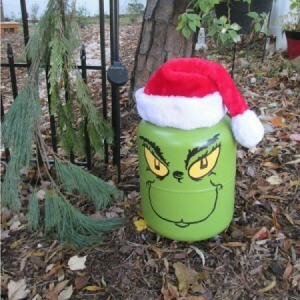 This favorite Dr. Seuss character is sure to bring smiles to everyone who sees him. 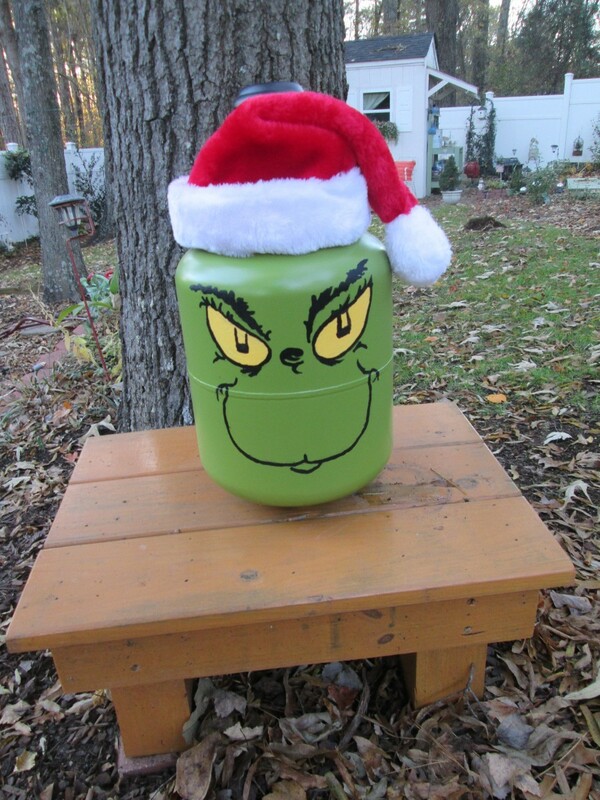 This page contains photos and instructions for how to upcycle a helium tank into the Grinch. 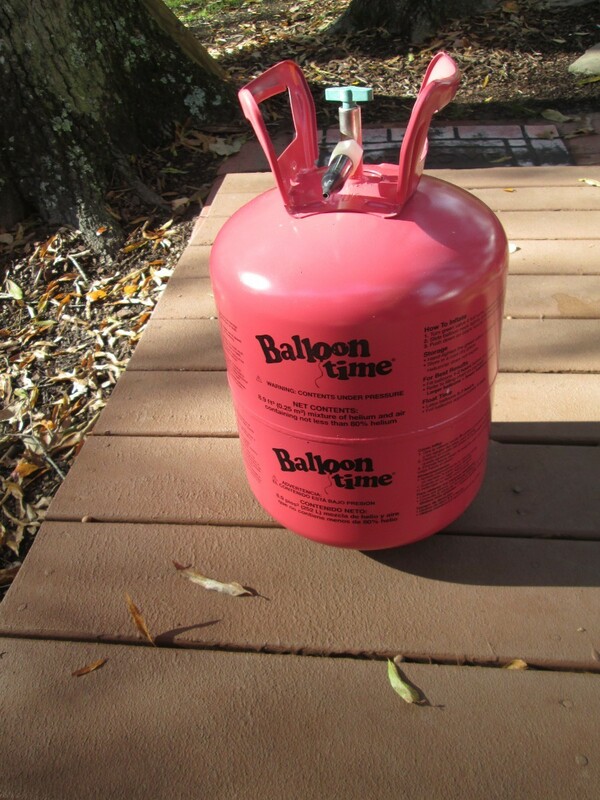 I found a great way to use and repurpose my empty helium tank. 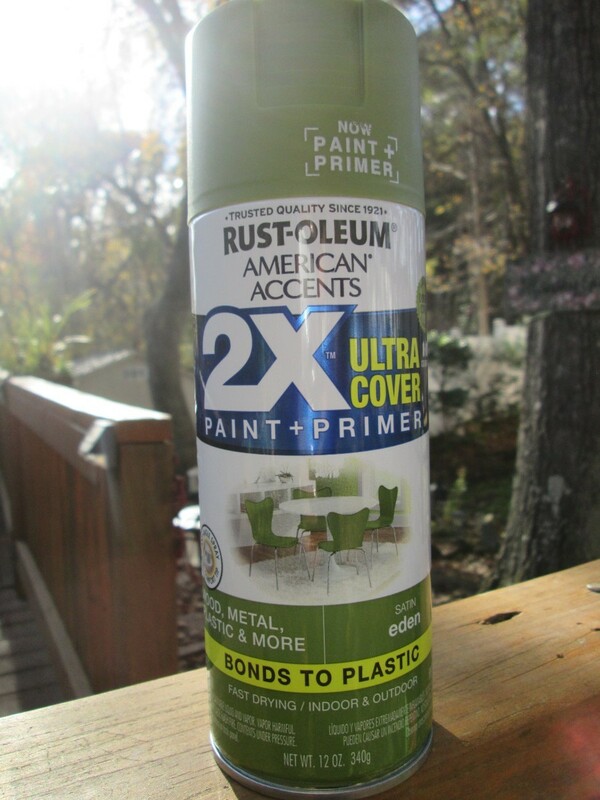 They are sturdy and can be changed over and over with something as simple as spray paint. For this holiday season, I wanted to make one of my favorite characters from a holiday movie. Take your tank and wipe down. 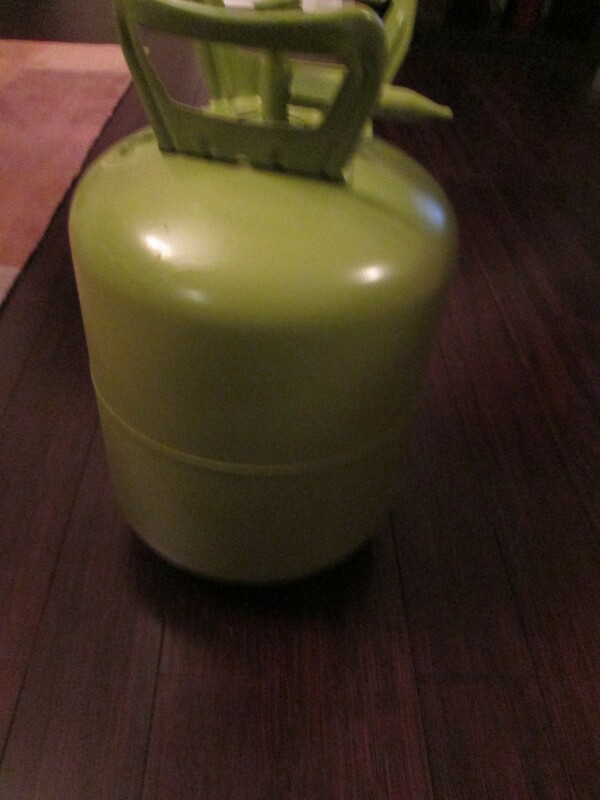 Spray paint the tank green. Allow to dry. Now apply a second coat. Dry. Outline your face on the tank. 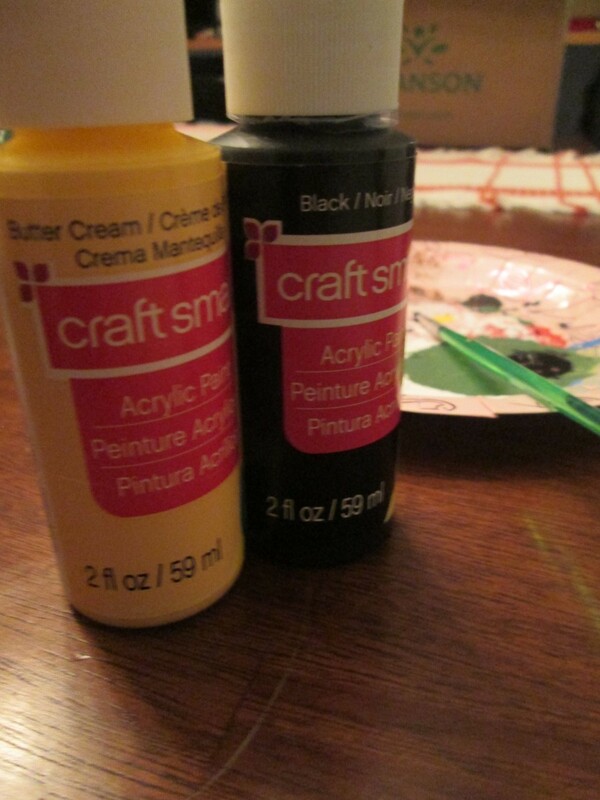 With craft paints, fill in the outline. Allow to dry thoroughly. Add a sealer (spray) and allow to dry. 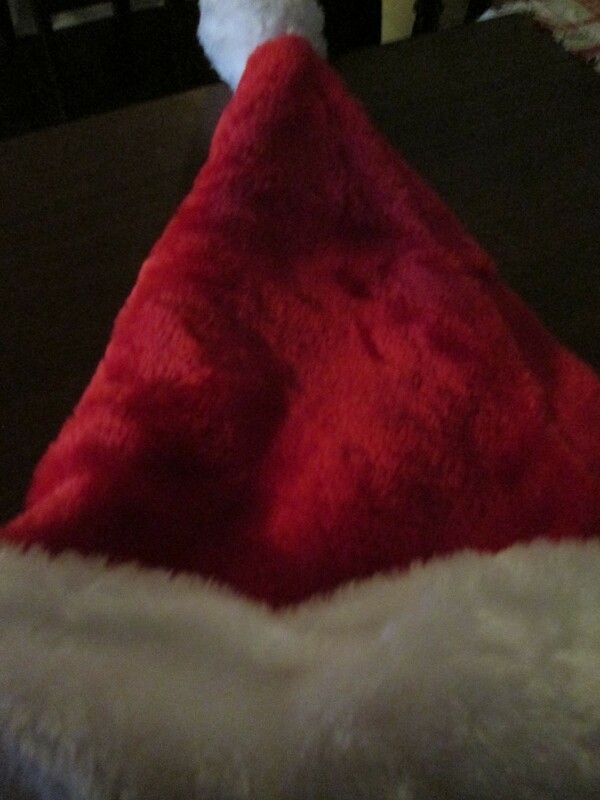 Add your holiday hat. Can you guess who it is?